Unreal Engine 4.21 will be releasing soon with a number of fixes and updates. In the meantime, the first Preview is now available for download from the Epic Games launcher. Preview 1 includes Nintendo Switch support for Niagara, improvements to cooking times and IPv6 support, in addition to general quality of life improvements in rendering, networking, animation, and more. A full list of the upcoming changes to this build are available on the Unreal Engine forums. We invite you to provide feedback on Preview 1, and all subsequent releases. Please keep in mind that Preview releases are intended only to provide a sample of what is going to be released in the update and are not production-ready. 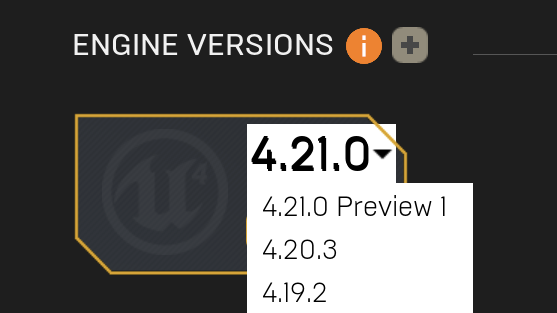 To get Unreal Engine 4.21 Preview 1, head to the Library section on the launcher, select “Add Versions” and choose 4.21 Preview 1.